CD and DVD labels are an important element in selling your media project. 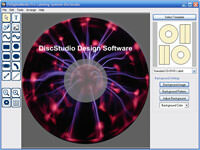 The right presentation of a disc label will capture the attention of the audience or user. An adhesive label sheets can be tricky for inserting into printers and when utilized incorrectly can jam the printers or cause serious damage. Here is a series of tips on how to print labels to get you going. Even if you are going to purchase custom label printing from a duplication or printing house, these are still useful! Design templates or specialized design software can be downloaded for free from numerous websites, some directly from media suppliers and disc duplication services. They can give you layouts and simple options to design, save, and print customized labels. Click here for our free templates! Your artwork must fit the template and each template will not conform to every piece of artwork! Make sure the labels correlate with the size disc you’re using. There are several center hole sizes available on the market. Use an artwork “safe zone.” A safe zone is the preferred 1/8” zone that rests in from the printable edge. Within this boundary, you will minimize the possibility that important artwork and text elements could run off the edge due to printer and other alignment errors. Use a bleed. A “bleed” is another printing issue that you should keep in mind. A bleed is the 1/8” recommended space block that stretches past the edges of the designated boundaries where the design elements are found. Like safe zones, bleeds are in place to counteract shifting and printing errors. Give the printer (either the company you hired or your actual printer!) as much instruction as possible to ensure you get what you’re looking for. By being specific about paper type, finish, ink levels, etc., you can optimize your results. If you’re DIY, then make sure to add in as much information as you can in your print options. Use a CD label applicator to ensure that labels are lined up perfectly over the center hole of the disc, each and every time. Print an entire adhesive label sheet in one pass. Once you use an adhesive label sheet and peel one, repeated runs through the printer for subsequent prints may jam the printer due to adhesive residue. The heat from certain printers like laser causes a reaction to the adhesive which can result in machine errors and jams. Store your labels in a way that prevents the edges from curling. If label sheets don’t have flat edges, a combination of curling and adhesive can damage the internal function of a printer. It’s more cost effective to replace labels than an entire printer, so consider buying new, flat sheets if your current ones do not fit ideal printing preferences. Test printer alignment with plain copy paper to save sheets for correctly arranged prints!